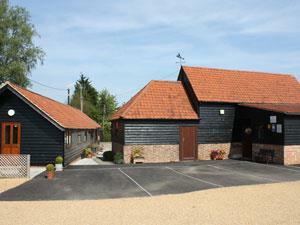 Comfortable accommodation provided in a converted barn on arable farm in rural Essex, yet close to Stansted Airport. This room is available as a single, double or triple (a cot is also available, please call for information and booking). From M11 junction 8, take A120 towards Great Dunmow for approximately 7 miles. Do not take Dunmow West junction but continue on A120 until Dunmow South junction. Then follow signs to B184 towards Ongar. Take 1st left towards Great Dunmow and then 1st left at mini roundabout on to B184. Straight over at roundabout and turn left immediately after bridge. We are approx 0.5mile down this lane. Tastefully decorated, comfortable room, charming and accommodating owners and the best breakfast ever!! As good as it gets!